... and away we go! : a new look!! 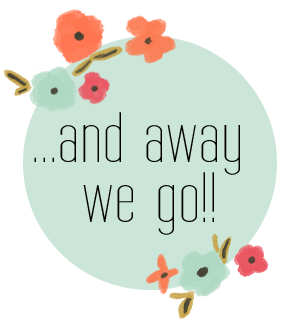 If you've been stopping by here for awhile, you may have noticed that "..and away we go!!" has a pretty new outfit on! After almost two years with my original blog template I decided it was time for a change. I've been in a bit of a "blogging rut" lately and much like a shiny new pair of running shoes, the new style has inspired me to get moving! In addition to a new overall appearance, I have added a few new features and made some updates. The Project Gallery, located at the top of the page, has been reorganized, A "Latest Pins" feature has been added to the side bar, so you can see what I've been perusing on Pinterest, and a search option has been added if you are looking for a particular post. As before, my social media links and a "follow by email option, are located at the top of the sidebar... I'd love for you to follow along! Thanks to Ello Themes for the beautiful and easy to instal template! !